This involves the understanding the three phases leading up to an attack or fight. The pre conflict (before the fight or attack), the conflict (during the fight or attack) post conflict (after the fight or attack). The attacker usually has decided that he/she is going to commit the act of violence by having the following available; the means, the opportunity, the intent. When all the above factors come to together this is when we should be prepared to defend ourselves and our loved ones with a self defence plan. The trouble is we say it will never happen to me, it always happens to someone else. Well if that was always the case we would not insure our cars or our homes, why do we make proactive plans to insure those things but are not proactive about our self defence or personal safety. As parents we make personal self defence plans for our children, making sure they don’t choke on a marble or go near the fire and keep them away from boiling water. Why as adults do we not take the same approach to our own self defence or personal protection? Violence is on the increase in the world that we live, and it is important that we should take a positive approach to our self defence and learn how to protect ourselves in order to go about our daily business safely and with confidence, and not just assume it will not happen to me. That is not enough relying on luck, hopefully violence will never be a part of your life but what if one day the violence does come, will you be prepared or are you prepared, will you have a plan. Studies have shown that if you are pro active about your self defence and fight back you actually increase your chances and some attackers will stop the attack because of the fear of being hurt and most of all being caught. At Kapap UK we use self defence that is designed for everyone regardless of fitness level or age. What we provide is not a martial arts course; it is a program that teaches practical, effective and uncomplicated self defence techniques to help you escape from the most common types of attack that you would most likely encounter if attacked. 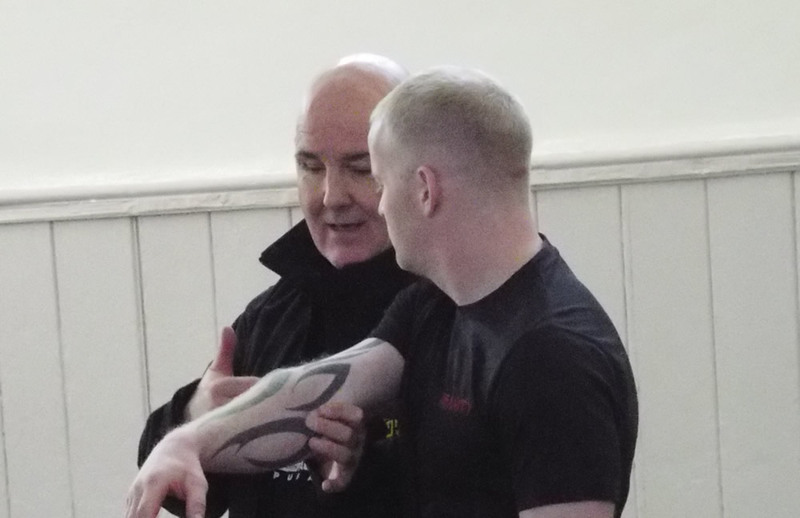 At Kapap UK self defence we teach you to understand pre-conflict rituals, and how victims are selected, giving you a mental edge thus avoiding a dangerous situation. As things stand the current law allows people to use “reasonable force” to defend themselves (either at home or on the street), to protect others, to prevent crime or to protect property.